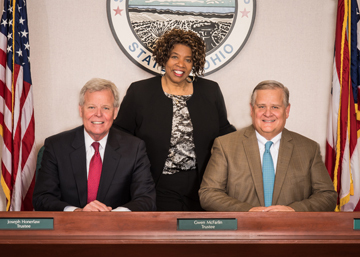 The Springfield Township Board of Trustees hold Regular Public Meetings at 5:30 p.m. on the second Tuesday of each month in the Allen Paul Room of the Township Civic Center, located at 9150 Winton Road. Regular. 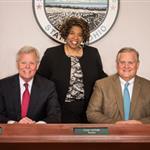 Regular Trustee meetings are recorded and shown LIVE on Waycross Government Access, channel 23 on Time Warner Cable and on channel 853 for Cincinnati Bell Fioptics subscribers. Meetings can also be watched live from our website at http://www.springfieldtwp.org/283/Trustee-Meetings-LIVE Each Regular Meeting does allow for citizen participation whereby a citizen may address the Board with a question, concern or an announcement. If you wish to speak to the Board regarding a service issue, please call (513)522-1410 to have your concern addressed in a quick and efficient manner. To receive e-mail and/or text message reminder for Trustee Meetings, subscribe to the Trustee Meeting Calendar at http://www.springfieldtwp.org/list.aspx.